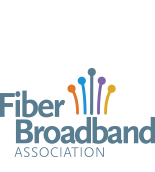 Fiber Broadband Association : Blogs : Fiber Optic Sensing Association Presents at OFC: "Towards 1 Billion Sensors"
WASHINGTON DC - March 4, 2019 - The Fiber Optic Sensing Association (FOSA) announces that Dr. Chris Minto, Engineering Director of member company OptaSense, will present “Towards 1 Billion Sensors: Distributed Fiber Sensing as a Pervasive IoT Contributor” on behalf of FOSA during this week’s Optical Networking and Communication Conference (OFC) in San Diego, California. The presentation will provide a technical introduction to Distributed Fiber Optic Sensing, examples of common DFOS applications and solutions, its major benefits, examples of installation methods, and a look at how DFOS is rapidly expanding to provide billions of data points as part of the IoT landscape. The presentation will occur on Tuesday, March 5th during a session running from 2:00 to 6:30 PM at the San Diego Convention Center, Room 6C. 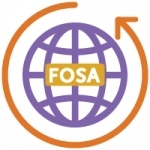 FOSA Members include AFL, AP Sensing, Asymmetric Technologies, Corning, Ditch Witch, Dura-Line, Fiber Optic Pipeline Solutions, Fotech Solutions, Frauscher Sensor Technology USA, Hifi Engineering, Network Integrity Systems, NKT Photonics, OFS, Omnisens, OptaSense, OZ Optics, Prysmian Group, Skyview Construction and Smartpipe Technologies. For further information, please visit the FOSA website.